Soraïa of Bianina workshop will greet exhibition of cat trochu ceramic on 8 and 9 April 2016 – Opening on Thursday 29th April from 18h00 – 22 rue Saint Georges-Rennes. cat trochu ceramic will be at the abbey of Léhon (Dinan), from 1 to 3 April 2016 for the European Days of Crafts. 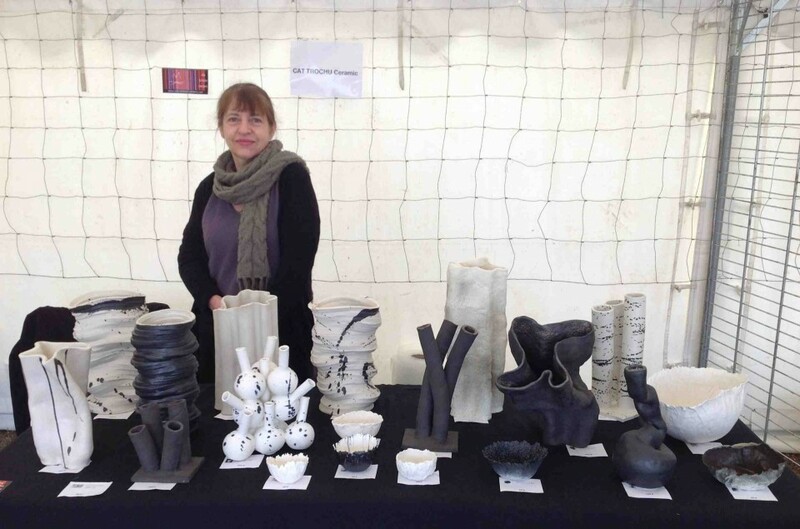 Very good time and very nice meetings for cat trochu ceramic at the first biennial ‘les Arts du Lié’ – Ploeuc sur Lié. cat trochu ceramic is pleased to exhibit from 20 to 21 February 2016 at the first biennial ‘Les Arts du Lié’ arranged by the association Art Culture at Ploeuc sur Lié. Very nice meetings for cat trochu ceramic at the 3e Village d’Automne de l’Esplanade des Invalides – Art contemporain et Céramique – Paris. Great experience for cat trochu ceramic at Marché d’Art de La Perrière with the sun and many visitors.